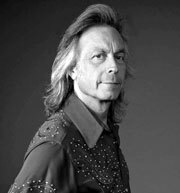 The King of Broken Hearts follows the unconventional, prolific career of GRAMMY-Award winning musician, singer and songwriter Jim Lauderdale. The feature length documentary, directed by Australian filmmaker Jeremy Dylan, tells Lauderdale's story from his North Carolina roots, being immersed in the country music scenes in both New York City and Los Angeles, to breaking through in Nashville as a songwriter, writing hits for countless artists including George Strait, Gary Allan, The Dixie Chicks, Vince Gill and Patty Loveless. Lauderdale, one of the most respected artists working the Bluegrass, Country and Americana music communities today has sung, played and toured with many celebrated musicians including Elvis Costello, Lucinda Williams and George Jones. He remains one of Nashville's A-List songwriters while also continuously touring in support of his critically acclaimed solo records including his new 20th studio album, Carolina Moonrise. Lauderdale has collaborated with legendary artists like Ralph Stanley and his contemporaries, most recently teaming up with Buddy Miller for both a country duets album titled Buddy & Jim and as co-hosts of The Buddy & Jim Show, which airs on SiriusXM Outlaw Country. In addition to several Grammy Awards, Lauderdale has been recognized by the Americana Music Association both as Artist of the Year and for his songwriting during the organization's celebrated annual awards show, which he has hosted the last ten years. After the screening, Lauderdale will participate in a Q&A session, moderated by Vice President of The GRAMMY Foundation and MusiCares, Scott Goldman.